If you can’t settle for a headphone with lame styling, lousy fit or weak audio quality, Sennheiser Urbanite offers you with a perfect solution. 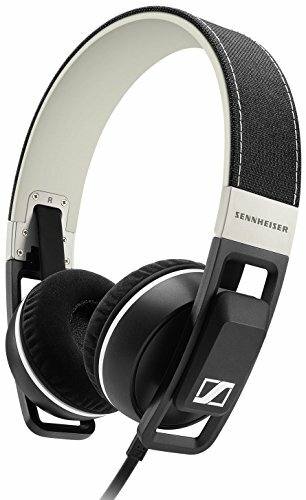 Sennheiser has been relentless in designing headphones that deliver an intense, rigid and consistent performance that is fit for uncompromising ears. Two versions of Sennheiser Urbanite XL Galaxy Headphones are available – one for Samsung Galaxy devices and one for Apple iOS. Since the Sennheiser Urbanite XL Galaxy Over-ear Headphone debuted, it has been reflecting Sennheiser’s pursuit of perfect sound. It is categorically an on-ear mobile stereo headphone with in-line remote control that’s compatible with Samsung Galaxy tablets and smartphones. The Sennheiser Urbanite XL Galaxy Over-ear Headphones are normally priced just under $250. Using the Sennheiser Urbanite Headphones feels like being transported to the center stage as far as sound quality is concerned. It gives serious club sound with massive bass, extended treble, smooth midrange and excellent sound clarity across the entire range. This headphone also does a great job at noise isolation, which makes it a good choice for cancelling out background noise, if you happen to listen to music while traveling. Or, if you want to be completely absorbed by music, Sennheiser Urbanite XL Galaxy Over-ear headphone can help you bust those distractions out. It features a smart-in-line remote Omni-directional microphone for volume control, with a Sound Pressure Level of 118 dB. Comfort is another thing where Sennheiser does a great job at. The Sennheiser Urbanite XL Galaxy Over-ear headphone fits very comfortably over the ears and the head. The headband supplies adequate cushioning, while the velour covered memory foam earpads are just the right weight. The cups can cover ears of different sizes perfectly and feel very soft. You can wear them for hours without feeling squished on the head. 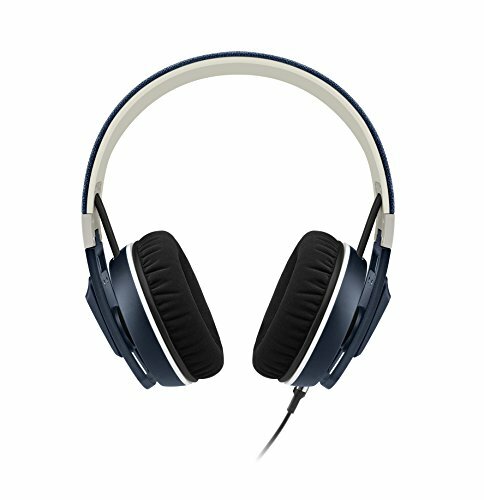 The Sennheiser Urbanite XL Galaxy Over-ear headphone is super stylish! It measures 7.9 x 3.2 x 9 inches, and weighs 1.5 pounds. Its foldable design makes this headphone easy to collapse, bring along and store in the supplied soft pouch. This Sennheiser Urbanite XL Galaxy Headphones features a detachable cable that comes with a 3-button remote control and an integrated microphone that lets you take calls and control your music on Samsung Galaxy tablets and smartphones. The microphone is situated closer to the mouth, while the control is placed further down where your hand can easily grasp it. The controls are not only well made, but they are also super easy to use. As far as durability is concerned, the Sennheiser Urbanite XL Galaxy Over-ear headphone was undoubtedly built to last. Sennheiser used a premium extra rugged part like aluminum earcup sliders and steel hinges for adding a robust build quality in the headphone. It is flexible enough to be stretched with no problem, yet it is still strong enough to keep the headphones sit securely on your head. The cable is thick and seems like it would last a long time. The position sliders and hinges for both earcups are made of a strong metal. Those other parts that are made of plastic are constructed very solidly to guarantee the headphone’s durability. Due to its tough construction, you can say that the Sennheiser Urbanite XL Galaxy Over-ear headphone is made to take contortion, falls and even can withstand being run over. You will also get peace of mind knowing that this pair of headphones comes with a 2-years international warranty when purchased from an authorized Sennheiser dealer. The Sennheiser Urbanite XL Galaxy Over-ear headphone definitely delivers the goods – an uncompromising performance, serious club sound with excellent clarity and massive bass. Furthermore, this headphone is built to last, making them worthy of each dollar that is spent towards your purchase. It is also easy to store and to bring along. Considering the benefits Sennheiser Urbanite XL Galaxy Headphones is able to give you, you can say that it has got the perfect package for people who love to wear a nice pair of headphones that‘s not only aesthetically appealing but functional too.